Car model names have always fascinated me, but lately more and more tend to confound me. I’m not picking on only one or two carmakers here, but one particular example from Mercedes-Benz, left, and leaves me, conceptually challenged. Of course, any company who makes any product is generally free to name it whatever they wish, I get that. For decades, when Mercedes=Benz put a badge on the tail of one of its cars claiming it to be a “6.3.” that meant that it was powered by a very special high performance 6.3-liter V-8 engine. That badge denoted something meaningful, and actually represented the content of the car. Equally, “4.5” meant a 4.5-liter V-8 engine, and 3.5…well you understand. So some years ago when Mercedes-Benz launched a new E63 AMG model, I foolishly assumed that it would be an E-Class with a 6.3-liter engine and the AMG performance treatment. When I showed up at the media drive event’s tech briefing for this car, I was baffled to learn that, no, the new car has a 5.4-liter twin turbocharged V-8 (which is an otherwise marvelous motor). The wonderfully fabulous naturally aspirated 500-plus horsepower handbuilt AMG 6.3-liter V-8 had been supplanted by a new, twin-turbo 5.4. I was confusilated as to why the car was still named and badged an E63. You are correct Mr. arrogant dismissive Engineer — I don’t understand. And I don’t see. Again they are free to do as they wish, but the old system worked so well, stood for something, and everyone understood it. Same for BMW: a 330i was a 3 Series model with a 3.0-liter engine and fuel injection. Commensurately, a 325 model was a 3 Series with a 2.5-liter engine. My 2002 Mercdes-Benz SL500 is logically and perfectly badged, as it is an SL-Class roadster with a 5.0-liter engine. Yet my brother-in-law’s current SL400 is also an SL-Class car, but with a 3.5-liter twin turbo V-6. I thought, well maybe they were trying to apply some equivilency formula like “well. a 3.5=liter engine when given the additional power of two turbochargers equals that of a 4.0-liter engine” but when you do that math, it doesn’t add up. 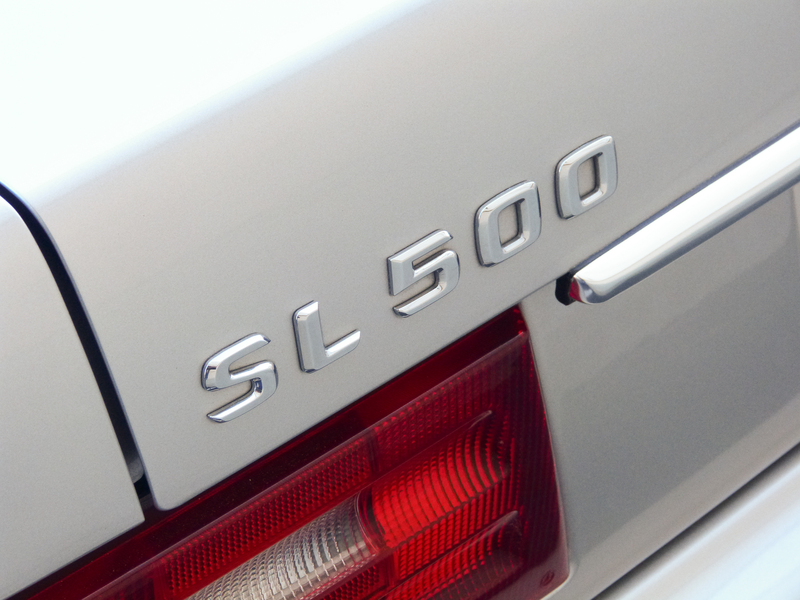 To further confound the math, that model has since been renamed the SL450, but still packs a 3.5-liter engine. By now you get my point. Several ways to look at this: You might say that most buyers don’t know or care. Or you can feel like me that this is all a bit of false branding, maybe giving the impression that people are getting something more than they really are. Or it’s just letters and numbers that really don’t make any dang difference. Sorry, I like the old logic, which was not only more accurately descriptive, it just made sense. And spoke a bit more of the truth. Do you agree with me, or am I full of crap and got the math all wrong?